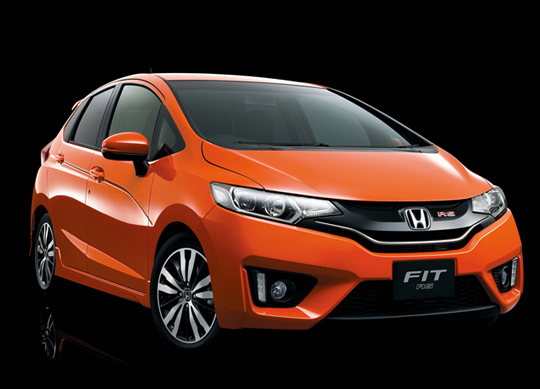 Honda has officially launched the Fit sub-compact in its home market, ahead of its eventual arrival in North America. Thethird-generation Fit is wildly important for Honda, with the company's president, Takanobu Ito, saying, "This is the most important model." The third-generation Fit is a ground-up reworking of the car that we've come to know. It will pioneer Honda's new design language, Exciting H Design (seriously) and will also be the very first Fit to be manufactured in North America. Thanks to a Mexican factory that is scheduled to open in the spring of 2014, Honda will be able to produce 200,000 Fits for the North American market in North America, saving the brand a huge amount of cash. As for that Exciting H Design, it's meant to be sleeker and more modern, according to Automotive News. It's not bad looking, but the overall design is far less important than what's under that hood. The vehicle you see above is a Fit RS, which has quite a resemblance to the rumored Fit Mugen. There's not a lot of detail on this model, but based on looks alone, we certainly hope it'll be coming to the North American market - it'd make a great Fit Sport. A hybrid variant will also come to the US market, and that car is returning impressive numbers on the Japanese cycle: 86 miles per gallon so far, thanks to the combination of an 1.5-liter, Atkinson-cycle, four-cylinder engine and a seven-speed, dual-clutch transmission. That's a 35-percent improvement over the current, JDM Fit Hybrid. Indeed, if the Fit Hybrid can return anything near those numbers on the US EPA cycle, it should do well. Ito's demands for improved economy are part of what has him believing that Honda will eventually move 1.5 million Fits by 2016. The Honda boss is also expecting the B-segment car to become the brand's best seller, overall, surpassing the Civic, CR-V and Accord. Those are some big expectations. 2015 Honda Civic Type R to sire next-gen CR-Z? The 2014 Honda Odyssey "Owner's Manual"